It is with sadness that the family of the late Ross Wight announce his passing on February 12, two weeks short of his 90th birthday. Leaving to mourn with fond and loving memories are his wife of 63 years Shirley, daughters Faith Wight Moffatt (Dan), Glenda Cadigan (Greg), son Robert (Charmaine), three grandsons Michael and Matthew Cadigan and Jordan Wight, sisters Lily Howse and Pearl King (Sam), brother Bill, sisters-in-law Lilian Wight, Karen Huxter and Leah Wight, as well as a large circle of nieces, nephews, relatives and friends. Ross is predeceased by his parents George and Lydia Wight, brothers Ralph, Milton, N. Ray, George, and David, sister Mildred, brothers and sisters-in-law Doris Wight, Annie Wight, Mary Wight, John Barnes, and Harry Howse. 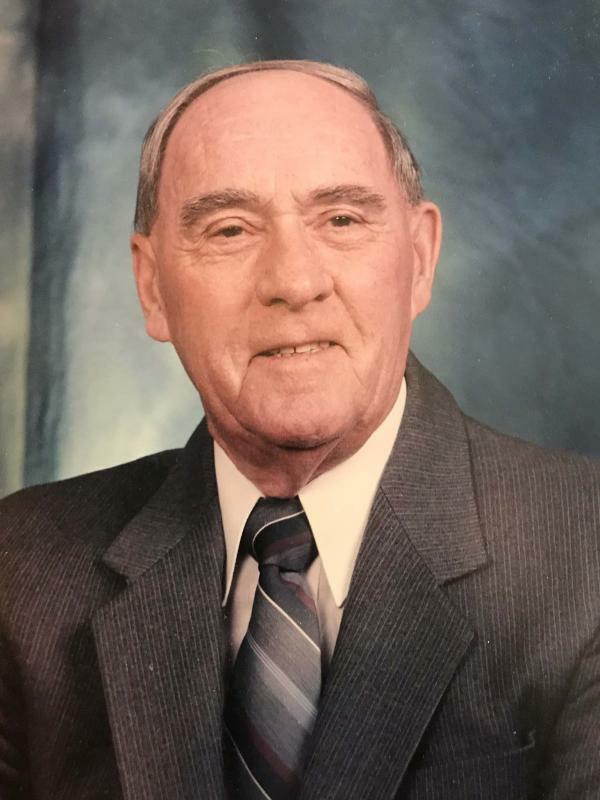 Other than for a brief period, Ross was a life-long resident of Deer Lake. He worked with Bowater Power (later Deer Lake Power) from 1944 until his retirement in 1990. Throughout his adult life, he was well known in Deer Lake and across the province as a tireless community leader and volunteer, with Deer Lake Salvation Army and Integrated School Boards, Deer Lake Tax Authority, Town Council, Chamber of Commerce, Deer Lake Public Library Board, Humber Valley Credit Union Board of Directors, and numerous regional and provincial committees. Visitation at Fillatre’s Funeral Home, 10 Clinic Drive, Deer Lake on Thursday, February 14, from 2-4 and 7-9 pm. As the Salvation Army Citadel is under renovation, the funeral service will be held at Emmanuel Pentecostal Church, Deer Lake on Friday, February 15 at 2 pm. Interment will follow at the Salvation Army cemetery on Cemetery Lane, Deer Lake. By request of Ross, no flowers please.